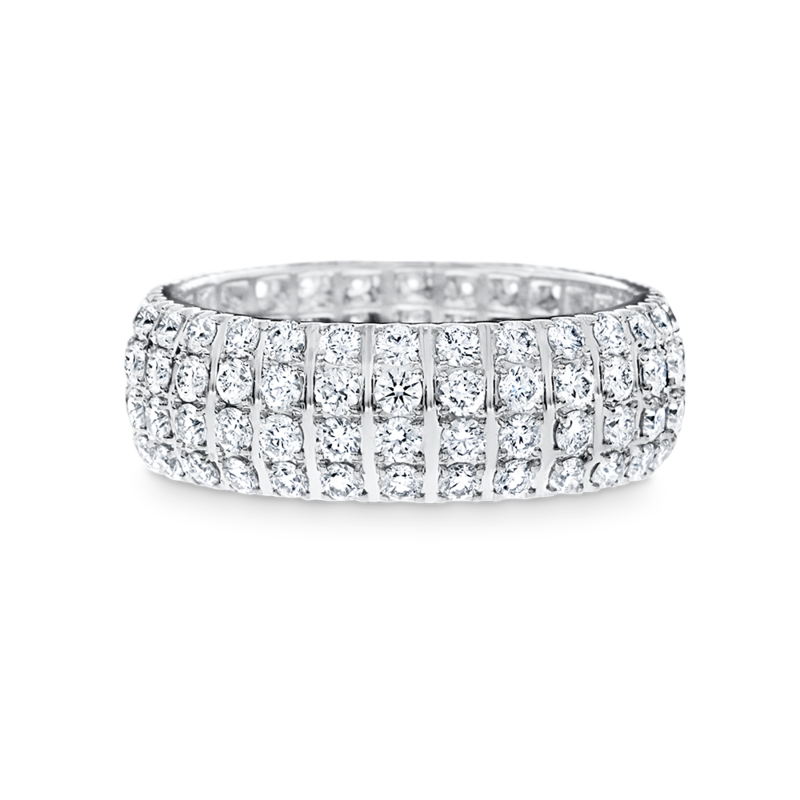 White gold dress ring featuring 4 rows of round brilliant cut diamonds that take on a sleek, rounded profile for a look that is brilliant and sophisticated. Available in a range of diamond carat weights. Available in 18ct white, yellow and rose gold or 950 platinum.